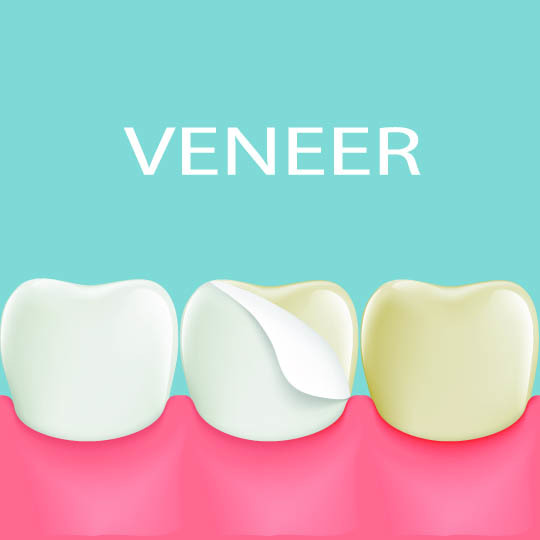 In need of Veneers in Vienna or Tysons Corner? We focus on restoring small dental imperfections in the smile to promote better self esteem and confidence for our patients using beautiful dental veneers. Dental veneers correct gaps, discolorations or chips in the teeth and can benefit patients who are looking to change the shape, size or shade of their teeth for a more radiant smile. Over the years, your smile is exposed to age, tooth decay and staining that change the way you look and can hinder your sense of confidence and self esteem. At Priti Naik DDS we believe our patients deserve to achieve their ideal smiles using cosmetic dentistry. We offer long-lasting and versatile porcelain and composite dental veneers for smiles that look natural and beautiful. Don’t hesitate to call us to learn more about dental veneers in the Northern Virginia and Washington DC area. Our custom veneers are personalized to each patient for their ideal shape, size and color. These thin, strong shells of tooth-colored porcelain fit over the front surface of the teeth to improve the smile’s ideal shape, size and color. After receiving treatment with dental veneers, results look strong and natural and can last many years with proper care. At your appointment, Dr. Naik will carefully assess your dental health and medical history to determine if veneers are right for you. Because it is a relatively simple treatment, veneers may benefit patients of a wide range of ages, backgrounds and goals. Porcelain veneers are thin, custom-made shells of tooth colored material designed to cover the front surface of the teeth. Natural looking by design, they require little buffing to the enamel of the teeth before placement and are strong and stain resistant. Composite resin veneers, in contrast, are ideal for patients who require dental fillings using composite resin to match or lighten the color of the tooth. If you are debating all of your options in cosmetic dentistry, lumineers may also be suggested to cover chips, stains or gaps in the teeth. You deserve a great smile! At our office our culture focuses on your happiness and comfort. With an improved smile you’ll feel better, work harder, and smile big. I encourage you to visit a local NoVA dentist truly focused on what is best for you and gentle care to keep your mouth healthy for years to come. Feel free to contact us with any questions and set up an appointment at (703) 288-1800. We serve multiple areas including Vienna, Tyson’s Corner, Falls Church and anywhere you may be from.